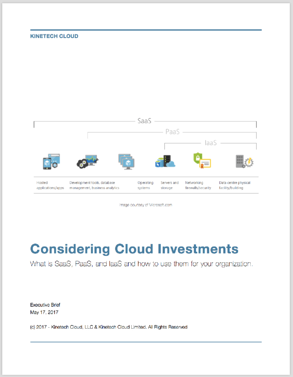 What is SaaS, PaaS, and IaaS and how to use them for your organization. This executive brief will inform readers on the differences between Infrastructure as a Service (IaaS), Software as a Service (SaaS), and application Platforms as a Service (PaaS). How the cloud can improve your operating model and jump start innovation within your organization.